Today, Colwyn Bay welcomed the Coca Cola Truck, which is currently visiting towns across the UK. 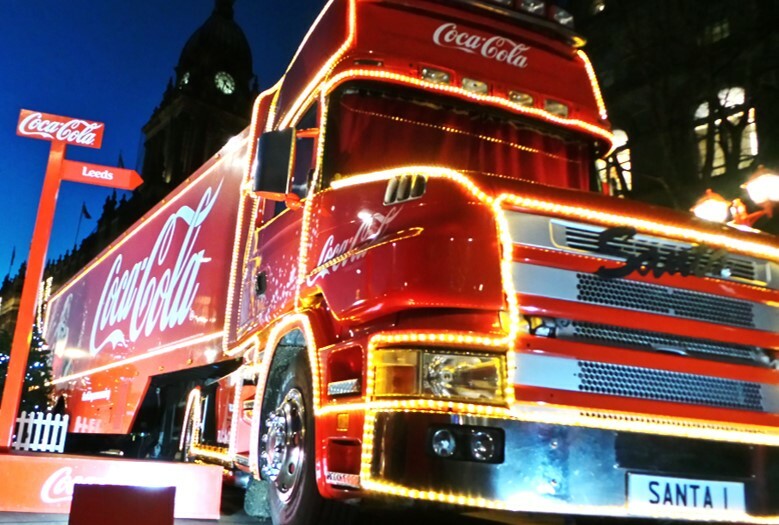 Throughout the day locals and visitors alike had the opportunity to come down and experience the magic of seeing the well-known iconic vehicle, enjoying the Christmas spirit and grabbing a free can of Coca Cola whilst there. There were stilt walkers to entertain the spectators, a photo opportunity with the Coca Cola truck, and free funfair rides for children to enjoy. Many local shops also opened late, along with food stalls; all these aspects contributed to a great atmosphere and a record crowd of people enjoying the town in the evening.